When you look at a Subaru repair procedure, it might seem a bit confusing at first glance. The first thing you may notice is there is very little text for the procedure. So let's take a closer look and clear up any confusion. The illustrations provided in the Subaru repair information show the areas and the number of welds to be completed within each location. 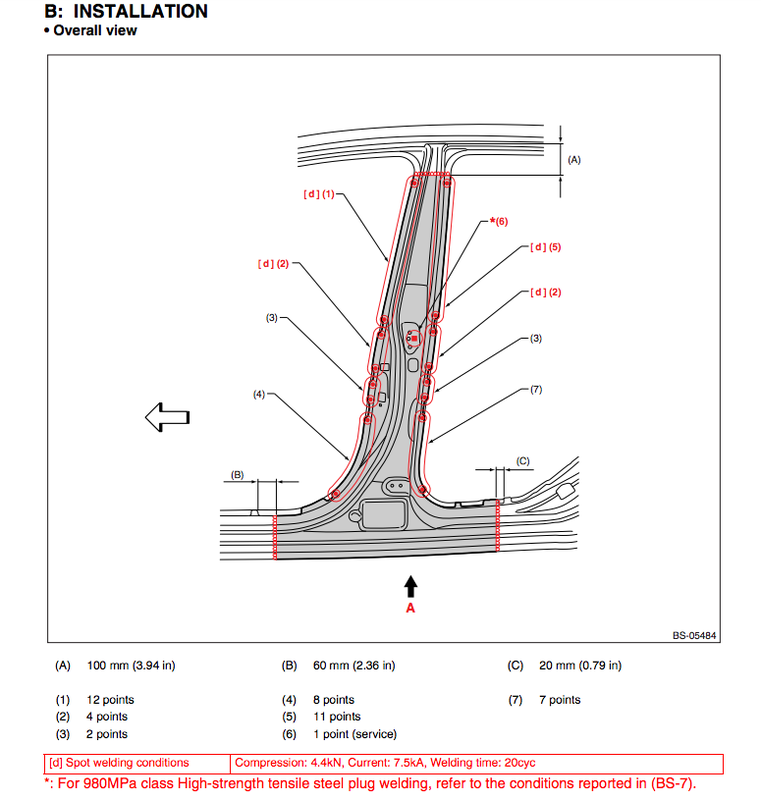 Meaning that each numbered area has a specified number of welds that will need to be completed. Though several of the numbered areas on the illustration appear to only have anchor points in the corners, there are actually a series of welds that need to be completed within that specified area. To find the number of welds in each location, each area is designated by a number in parenthesis. The number of welds are found at the bottom of the illustration in the illustration key with the corresponding number from the illustration.